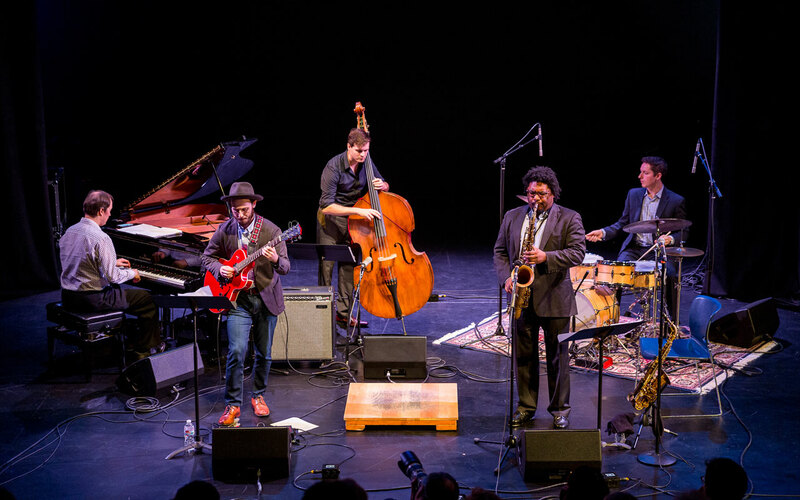 Fade performing at the 2018 Earshot Jazz Festival. Photo by Daniel Sheehan. It’s our favorite party of the year—the Golden Ear Awards! Each year, we recognize and celebrate the outstanding achievements of the previous year in Seattle jazz. In the process, Seattle jazz fans and performers take stock of and show gratitude for the region’s vibrant jazz ecology. We’ll be honoring the award recipients and getting down to the sounds of Alex Dugdale’s crackling, straight-ahead Fade Quintet.